2014 Food Drive Poster Contest Winner is Joel Descheen! We work throughout the year at community music events to assist shelters in our community with feeding and clothing those in need. We rely on donations received from the annual Gathering of the Vibes to help greatly with this mission. 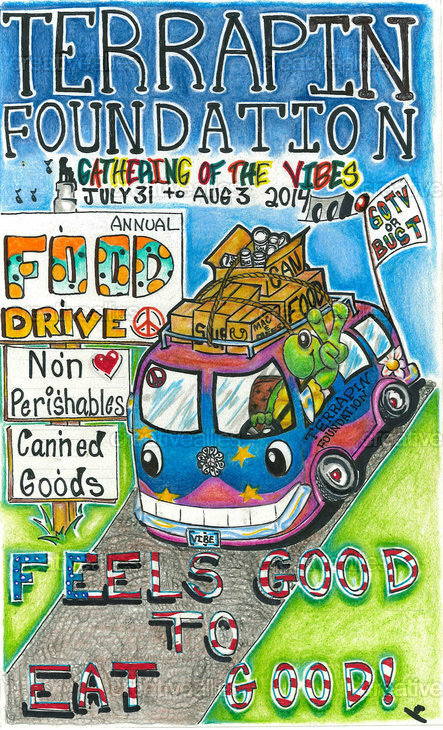 Each year we sponsor a poster contest to motivate everyone to remember to bring food donations to the festival for donation to the CT Food Bank to help families in need. Keep your eyes open in springtime 2015 for our next poster contest!